What Type of Radiologist Are You?  - ONRAD, Inc.
17 Jun What Type of Radiologist Are You? DiagnosticImaging | A recent blog of mine focused on one of the less-lovable sorts of colleague one might encounter: the Troll. The Workhorse: A productivity-machine, this is someone you almost certainly want on your team. Much of the time, it’s a mystery how he gets it all done. Unfortunately, sometimes there’s no mystery at all—the cost of his high volume might be an equally high error-rate. Also, be aware that, sooner or later, some workhorses expect a payoff for doing more than those around them. The Topiarist: AKA the hedger, he’s got a differential for everything, and makes sure it’s conveyed clearly in his reports. Sure, it looks like a typical hemangioma, but can we really be certain that it’s not an atypical version of half a dozen other things, ranging from benign to malignant? Better list ‘em all, just to be safe… On the bright side, once in a blue moon he accurately mentions the right zebra-diagnosis, and saves the day. The Wheeler-dealer: Often terms himself an entrepreneur or businessman. He’s got an angle on everything—if he doesn’t, he will find one sooner rather than later. He’s willing to take your callshifts, for the right price. Or maybe he wants to pay you to take his call so he can go moonlight at a higher rate somewhere else. He’s always interested in revisiting formulas for productivity, compensation, etc. If you think you got a good deal from him, count your fingers to make sure they’re all still there. On the other hand, he’s useful if you need someone to negotiate contracts on behalf of your whole team. The Professor: The undisputed answer-man, and not necessarily just in his own subspecialty. Got an impossible case? Ring him up, and if he doesn’t immediately know the answer he can usually point you in the right direction. His numbers might not be impressive; for instance, his case-volume might be 1/3 that of the Workhorse, but you can’t have everything. Caution: Even if he doesn’t have an ego to match his intellect, you may find yourself fighting against an inferiority-complex when you’re in his presence. The Renaissance-man: This one’s got a million interests, and is often very knowledgeable about the darnedest things. Radiology may or may not be one of them, however, and sometimes the other stuff eclipses his actual work. On the bright side, he’s likely to be one of the more interesting folks on your team, and he’s your guy if you’re ever looking for a break from the daily grind. Or merely an ally for trivia competitions. The 9-to-5er: AKA the mercenary, he’s here for a paycheck. Maybe there’s a shot at partnership or a title, maybe not, but he’s not going above and beyond in pursuit of such things. If there’s bonus-money for extra work, he might do it; however, a mere pat on the back won’t motivate him. Rather, he may resent efforts to shame or pressure him into it. To him, this is just a job; he negotiated and will abide by his contract. If more was expected, that should have been negotiated at the time. Want him to pitch in more? He might be willing to talk about it – if you’re willing to talk about more money, more vacation, etc. There are, of course, other breeds in the bestiary, perhaps to be detailed in the future: The Diplomat, the Historian, the Heir Apparent, the Lawyer, and the Nitpicker, to name a few. Feel free to write in with your own favorite species.